Thanks for the explanation of the photo etching process. I've been curious about it and it's nice to hear someones actual experience with it. I got all the parts cut out and everything fits really good. 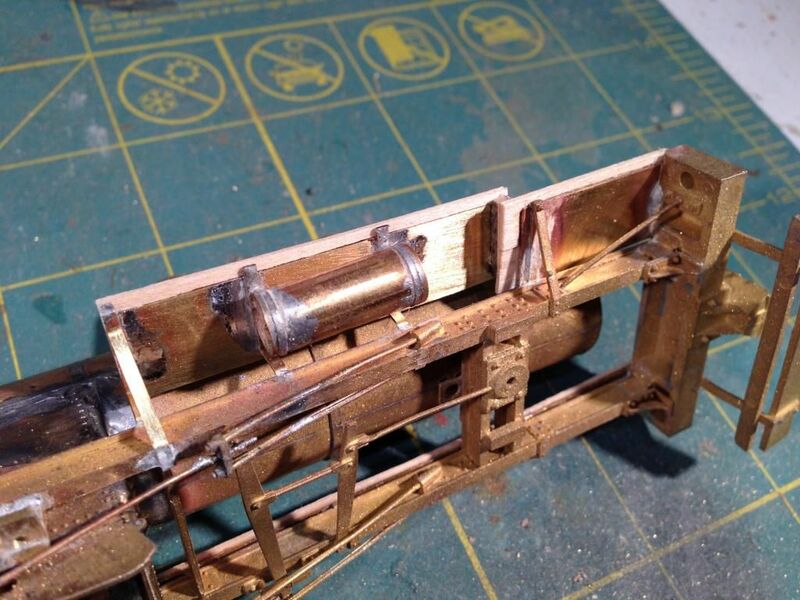 Even though not all the areas etched all the way through it was easy to cut through the thin brass that was left, so if you try this and you have the same issue with thicker brass have no fear, it is easy to still use the parts. here is the cab test fit together. Next up will be soldering on the beaded edging around the windows and doors, then I will solder the cab sides together and form the roof. The etching came out VERY well. Congratulations! Looking forward to more progress. Thanks Brian, it is actually really easy and I can't understand why more people are not using this to make models. the hardest part is doing the drawing, which might have been hard in the past but now there are so many free cad programs and most people have printers that it should be really easy now. The entire process of etching sounds very familiar to me, as I used to work in a lithographic darkroom. There may be a screen printer or letterpress printer in the area that will let you use their contact frame. More than likely you could buy one from a graphic arts dealer for the cost of hauling it away. Set it up in your shop. You could go into the brass etching business. After a while I started sending my artwork to PPD in Scotland http://www.ppdltd.com/ They will do any sized piece you want, no need to fill a whole sheet. Last night I had some time to emboss the rivets, bead the windows, and solder the sides to the back. 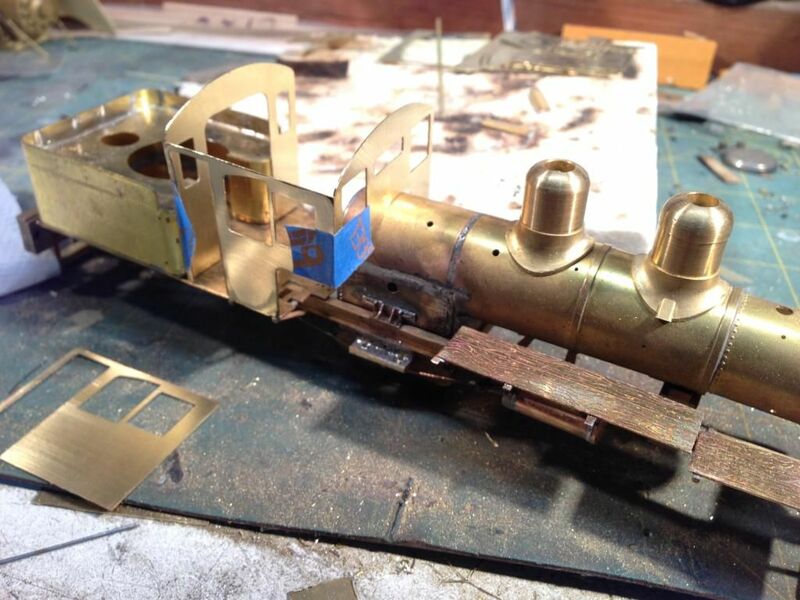 I am going to try to solder the front wall to just the boiler so I can detail the interior easier, in the past I have not had as much luck with this method but these parts are a lot more accurate than the ones I made freehand. 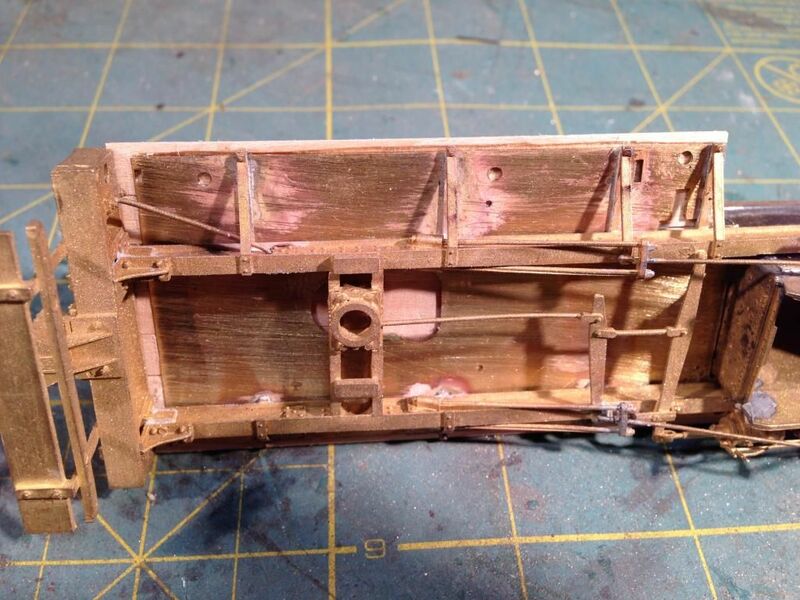 before I go any farther I have to get the cab floor and walkways covered, I am going to use real wood on my floors and walkway, I like the contrast better and I can do some weathering that would not be possible with brass. 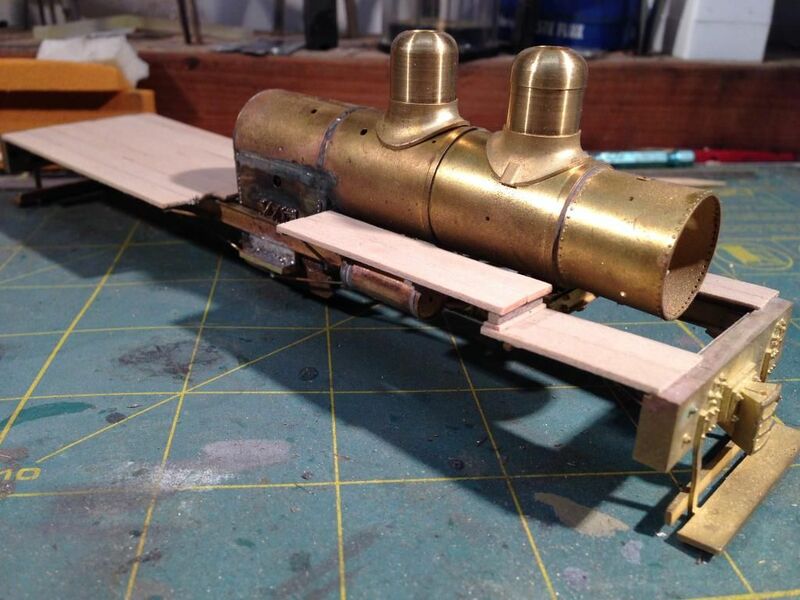 Thanks for the photo Mark, that is a perfect example of a load of rail, and no restraints either. 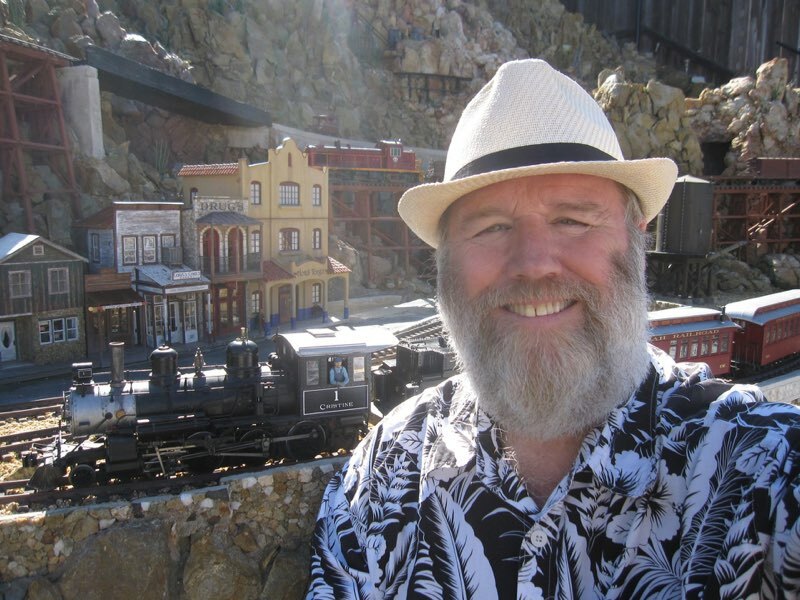 I think that for most of us, for sure myself, are used to only seeing major modern railroading and it is easy to forget that most narrow gauge lines (and not the Rio Grande stuff)were short slow speed RR and the not all rules and logic apply. I'm not sure I'd ride in a caboose behind a loose load of rail, even at 10 MPH. Too many ways for something to go wrong. Nice work on the cab. 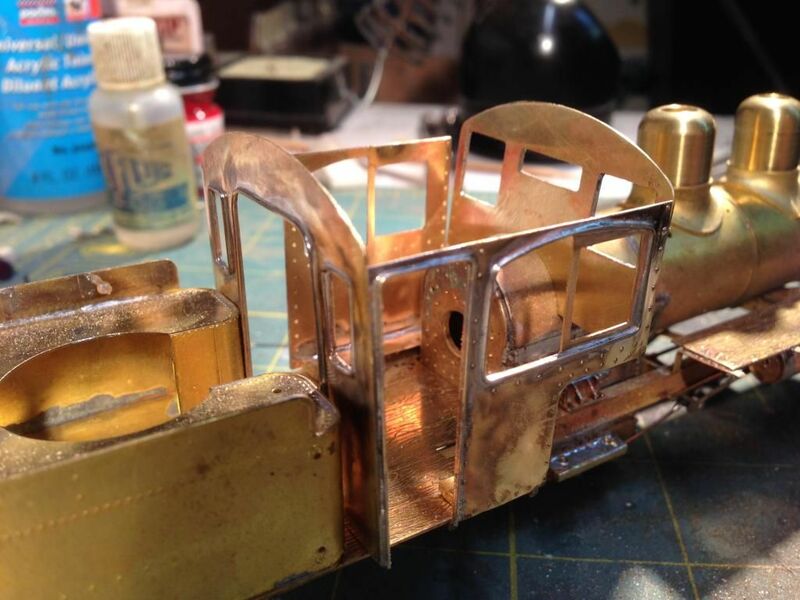 Many New England modelers have thought about a near-legendary etched brass arch-window cab kit that's been out of production for ~30 years; maybe it's time to find one and scan it. 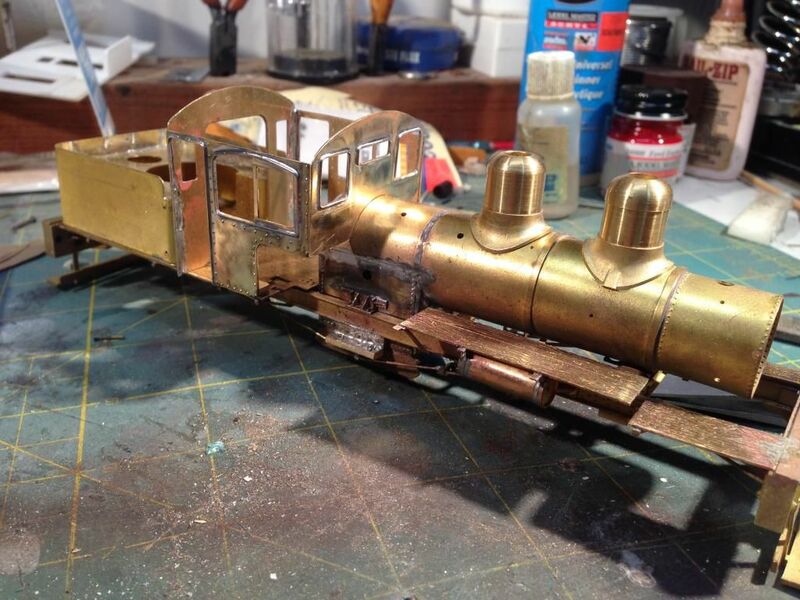 did a little more work on the shay. I got my floors and walk ways covered with basswood. 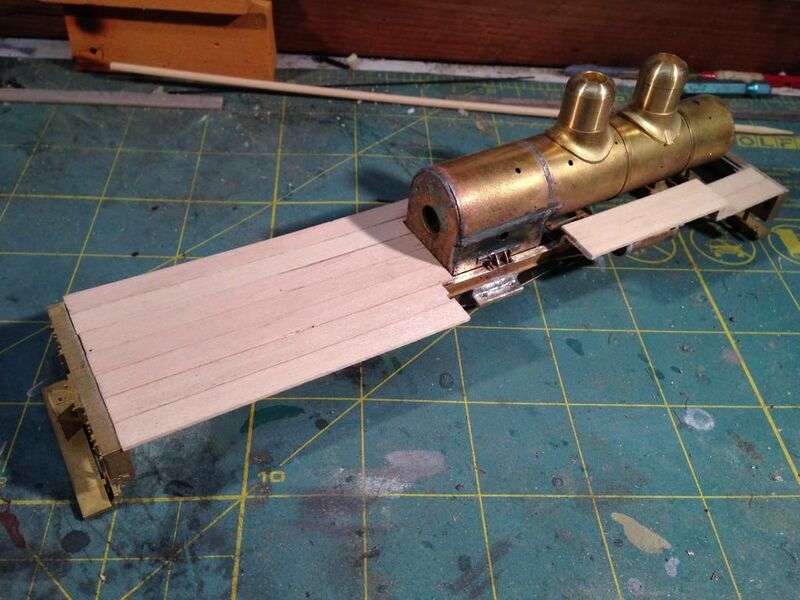 I used 12" wide boards which I carved the bottom to recess the brass walkways in so they would not be visible. Before soldering the brass walkways on I trimmed them a little shorter and narrower. I made a jig to carve the wood to a uniform thickness. The wood boards on the edges had a strip left which formed a lip that hangs over the brass so the wood looks full width on the edges. Congratulations on reaching fireman status!